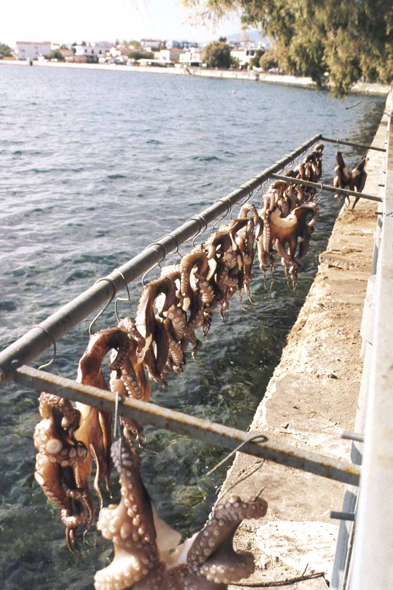 Octopuses drying on the seaside of the village of Amarynthos. The Greeks often go to the restaurant, whatever their social status. They like to benefit from the life and conviviality is generally synonymous with meal and alcohol between friends.